Epilation is only one step of the process of having a smooth and gentle skin ready for showing off. Removing the unwanted hair is just the beginning. Once you remove them, you also have to exfoliate your skin both for the way the skin looks, and of course, to stop ingrown hairs and other unwanted side effects. So what does exfoliation mean? And what’s the best way to exfoliate after Epilating? Exfoliation is a process in which the dead skin cells are removed from the surface of your skin. Most of you probably do exfoliation after every shower or so, but they aren’t even aware of that. The best time to exfoliate your skin is usually after taking a shower. The reason for this is because while in the shower, the warm water relaxes your skin and makes it easier for the dead skin cells to be removed. However, there are certain things you should take into consideration before you exfoliating your skin. You should never exfoliate your skin immediately after the epilation. During the epilation the skin is irritated from the tweezers of the epilator. Even though people react differently to the process of epilation and at times you might not be able to see the reactions of your body, still the epilation is stressful for your skin. The body will need some time to heal. Therefore it is a good idea to wait for a while before you exfoliate your skin if you have previously done the epilation. Another important thing you must remember is that you shouldn’t exfoliate your skin if you have open wounds or cuts, as this might irritate the skin and prolong the process of healing. 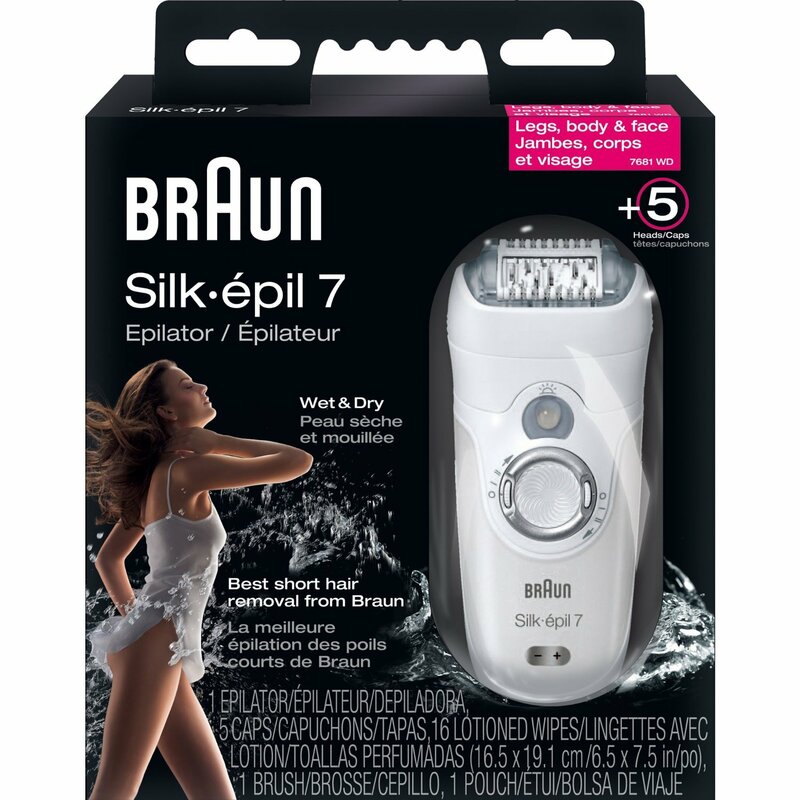 One of the best Epilators out there, the Braun Silk-Epil range, comes with attachments to include the process within the actual Epilation process, and means you can do it all in one with what is already one of the top products out there of its type. The best way to do the exfoliation is to start the process under the shower. Use a loofah, body brush or exfoliating gloves. It is good if you start from your feet as that is usually the part we always leave behind. If there is a need, use pumice stone to soften the skin. If it is too rough you can first put them into lukewarm water and add some sodium bicarbonate or sault. It has been proved that they soften the skin and make the entire process of exfoliation a lot easier. Continue with the other parts of the body, gently removing the dead skin by using a loofah or gloves. You can add some exfoliating cleanser if you want. There are many exfoliating oils that you can use, but it is perfectly fine if you decide not to use any of them. As long as you have a good loofah, body brush, or exfoliating gloves the process will be successful. Once you finish with the entire body, wipe off your skin with a rougher towel and make sure to apply oil to the entire surface of your skin to calm any possible irritation. This is a simple process that doesn’t require much of your time. It can become your daily routine and a habit while in the shower. The exfoliation is good for your skin, as once the dead cells are removed the skin can easily breathe and it will be very soft at touch.